Antique town view of Torun. Printed in Nuremberg in the year 1697. Very detailed large copper engraved view of the battle near Dirschau/Tczew at the Vistula river in Poland during the war with Sweden in 1657. From the famous chronicle of Baron von Pufendorf. Antique town view of Tczew, Vistula. Printed in Nuremberg in the year 1697. Beautiful copper engraved map of the Vistula delta with a town plan and panoramic view of Danzig/Gdansk by S. Pufendorf. With several sailing ships and a compass rose in the Baltic Sea. Antique town view of Gdansk, Vistula. Printed in Nuremberg in the year 1697. Attractive copper engraved map of the battle anno 1656 around Gniezno east of Pozna&#324; in Poland. From the famous chronicle of Baron von Pufendorf. Antique town view of Gniezno. Printed in Nuremberg in the year 1697. Attractive copper engraved view of the battle anno 1657 around Tczew (Dirschau) at the Virtula River in Poland. From the famous chronicle of Baron von Pufendorf. Antique town view of Tczew. Printed in Nuremberg in the year 1697. Beautifully copper engraved plan and view of Lowicz in the Lodz Region in Central Poland. From the famous chronicle of Baron von Pufendorf. Antique town view of Lowicz. Printed in Nuremberg in the year 1697. Antique town view of Marienburg, Malbork. Printed in Nuremberg in the year 1697. A plan of the town and fortress of Marienburg close to Danzig at Nogat river. Copper engraving from F. de Lapointe from a Pufendorf edition. Coloured map of Malbork. Printed in the year 1696. Antique town view of Wisla, Vistula, Sandomierz. Printed in Nuremberg in the year 1697. 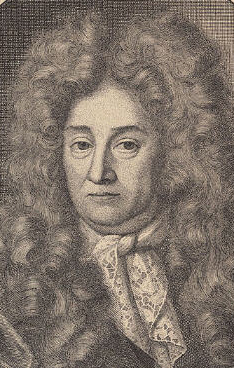 Samuel Baron von Pufendorf: Elegentissima et bene munita Arx. Chrzistopora. Copper engraved view of the fortification Chrzistopora, Poland. From the famous chronicle of Baron von Pufendorf. Elegentissima et bene munita Arx. Chrzistopora. Antique town view of Chrzistopora. Printed in Nuremberg in the year 1697. Attractive copper engraving showing Carl Gustaf and Rakoczy the Transylvanian ruler. From the famous chronicle of Baron von Pufendorf. Signed Dahlberg. Copper engraving of a historical scene. Rakoczy, Carl Gustaf. Printed in Nuremberg in the year 1697. Antique town view of Kruschwitz, Kruszwica, Graudenz, Grudziadz. Printed in Nuremberg in the year 1697. Attractive copper engraved view of the siege of Ilza (I&#322;&#380;a) a small town in Masovian Voivodeship, Poland during the war with Sweden in 1656. From the famous chronicle of Baron von Pufendorf. Antique town view of the Siege of Ilza. Printed in Nuremberg in the year 1697. Attractive copper engraved map of the battle anno 1655 around Uj&#347;cie, west of Bromberg (Bydgoszcz) in Poland. From the famous chronicle of Baron von Pufendorf. Antique town view of Ujscie. Printed in Nuremberg in the year 1697. Attractive copper engraved map of view of the Wistula River (Wis&#322;a) Nowy Dwor, Mazowiecki, north west of Warsaw (Warszawa) in Poland. From the famous chronicle of Baron von Pufendorf. Antique town view of Nowy Dwor, Wisla, Vistula. Printed in Nuremberg in the year 1697. Antique map of Elblag, Malbork, Nogat. Printed in Nuremberg in the year 1697. Beautifully copper engraved plan of the region along the Vistula River (Wis&#322;y) opposite the village of Dirzovia, close to Malbork and Tczewa. From the famous chronicle of Baron von Pufendorf. Antique town view of Vistula, Malbork. Printed in Nuremberg in the year 1697. Nice copper engraved plan of the region along the Vistula River. From the famous chronicle of Baron von Pufendorf. Antique town view of Vistula. Printed in Nuremberg in the year 1697. Attractive copper engraved view of the fortification of Mitovia and Dobbleena in Curland, Poland. From the famous chronicle of Baron von Pufendorf. Antique town view of Dobbleena, Mitovia. Printed in Nuremberg in the year 1697.